Cameron Parish Police Office warns of Jury Duty Scam. Latest Educative Article on Jury Duty Scam phone call scams. Parishes across Louisiana State has been hit by jury duty scam. In the latest incident, citizens in Cameron Parish have reported phone calls from scammers saying the person receiving the call has missed jury duty and will be arrested shortly. The victim is told he or she can avoid arrest by paying a fine immediately. The caller would have enough personal information of the victim to make the call seem legit. The caller may also provide information such as titles and badge numbers of legitimate law enforcement officers or court officials, names of federal judges, and courthouse addresses in an attempt to make the scam appear credible. The objective of the call is to intimidate potential victims into paying money, by falsely claiming that a payment of fine can stall the arrest warrant! 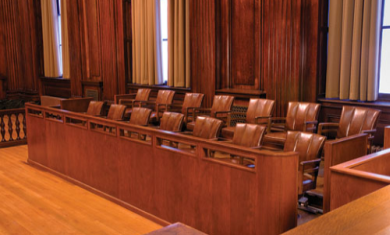 Offices of the Federal Courts do not call prospective jurors or ask for money or personal identification information.